Joyce Vincent is recognized as one of the original members of the 1970's renowned singing and performing group “Tony Orlando & Dawn.” Joyce is originally from Detroit, Michigan, the home of the Motown Sound, and had the honor of recording back up vocals in the famed Motown Studio A in the 1960's! She became an international celebrity in the early 70’s alongside Tony Orlando and Telma Hopkins. Together they collected three #1 records, 14 top 40 singles, two American Music Awards, Grammy Nominations and a hugely popular American TV weekly variety show. The group officially disbanded in 1977. ​In 1977 when Mary Wilson left the Supremes for a solo career Joyce Vincent was chosen to take her place by Scherrie Payne and Susaye Greene. Unfortunately it was decided by Motown to disband The Supremes before Joyce officially joined. Throughout the 1980's Joyce Vincent continued to be a highly in demand studio and stage back ground singer, and features on numerous worldwide hit records. 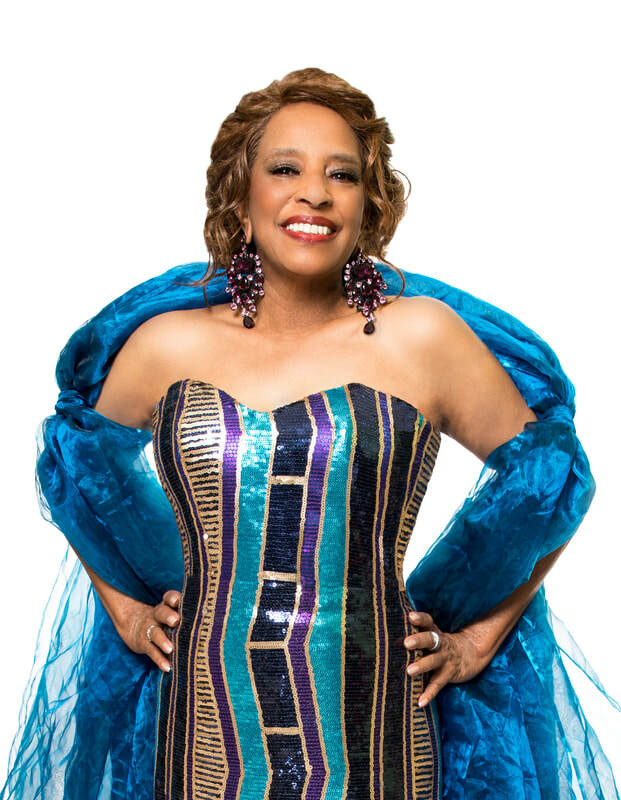 Through her musical associations, Joyce has had the opportunity to perform and record with some of entertainment’s best including Dionne Warwick, Freda Payne, Smokey Robinson and many more. In 1988 Tony Orland0 & Dawn reunited for a five-week tour that wound up lasting into 1993, with Joyce's sister Pamela Vincent finally becoming a visible Dawn member, stepping in when Hopkins left the trio for her acting/television obligations. Tony Orlando & Dawn released A Christmas Reunion CD, and a DVD box set of their 1970's CBS TV Variety show in 2005. Publicity events for these releases marked the first time Hopkins, and both Vincent Sisters (Joyce & Pamela) appeared onstage together. Tony Orlando & Dawn were inducted into the Vocal Group Hall of Fame in 2008. In 2009 Scherrie Payne asked Joyce Vincent to join her Former Supremes trio. Joyce happily accepted and has toured all over the world performing The Supremes' classics to enthusiastic audiences.